[UPDATE: The City Council meeting is now scheduled for February 2.] In mid-September On February 2, the Pasadena City Council will consider an agreement regarding the historic Lower Arroyo Archery Range. This is Pasadena’s last remaining archery range, and it has been in the Lower Arroyo Park for 79 years — in fact, it is the world’s oldest continually operating field archery range. 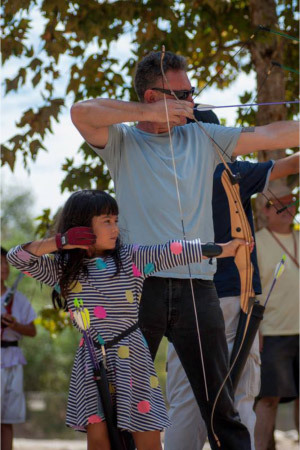 The Pasadena Roving Archers (PRA) maintain the range and use it for 14 hours per week to provide inexpensive archery instruction to the public and to conduct archery tournaments – which are also open to the public. The City is paid a portion of the fees collected for these classes and tournaments. For the remaining 85% of the hours during which the park is open, the range is not reserved by PRA and is available for archery use by the general public. 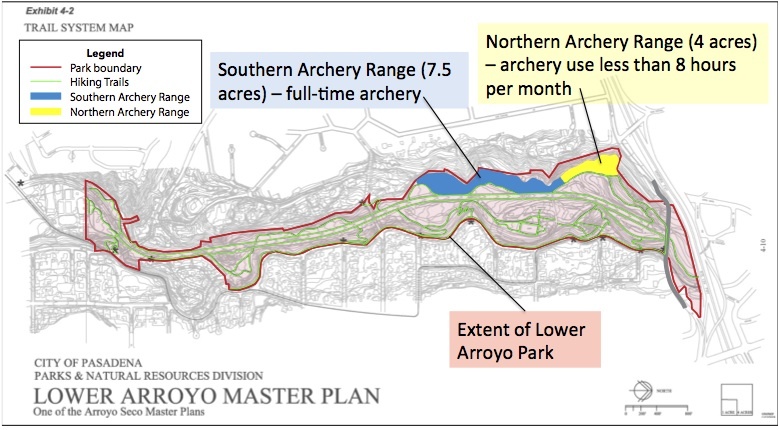 The agreement under consideration by the City Council is expected to essentially preserve the status quo – allowing the archery range to continue its existence at its current size and location, consistent with the City’s own Lower Arroyo Master Plan (LAMP). The “deal points” in this proposed agreement are simply an update to the terms under which PRA will be allowed to continue its limited presence at the range. These new terms include higher fees paid to the City, continuation of the PRA’s range maintenance responsibilities, safety credentialing of archers, and clearer demarcation of the archery range boundaries. The agenda for the Recreation & Parks Commission meeting of February 4, 2014 includes the most recent version of the proposed deal points between the City and PRA. This is an influential group whose founding members include Claire Bogaard, Tom Seifert, Dianne Philibosian, Ann Scheid, and Tim Brick. 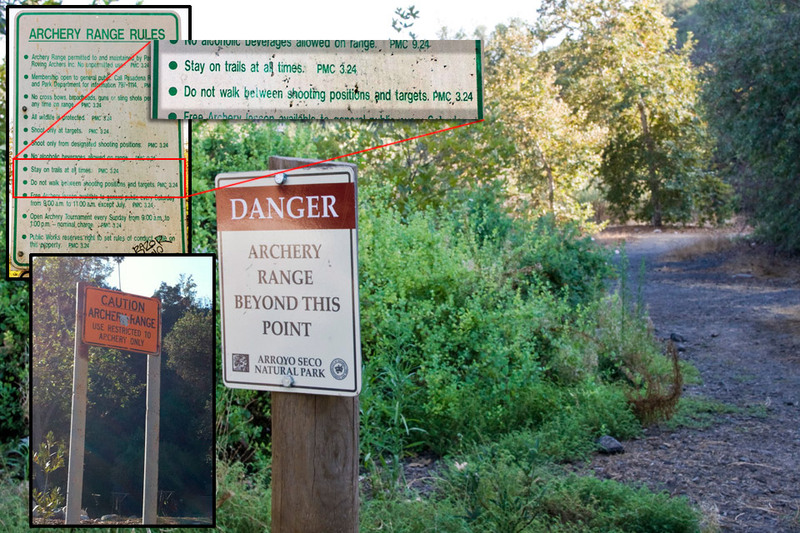 The archery range is not “devoted to an exclusive private use.” It is available for public use for archery. The archery range is a designated-use area for a specific purpose, just like other City facilities such as Brookside Golf Course, the casting pond, tennis courts, basketball courts, Hahamongna Frisbee golf course, and the lawn bowling field. 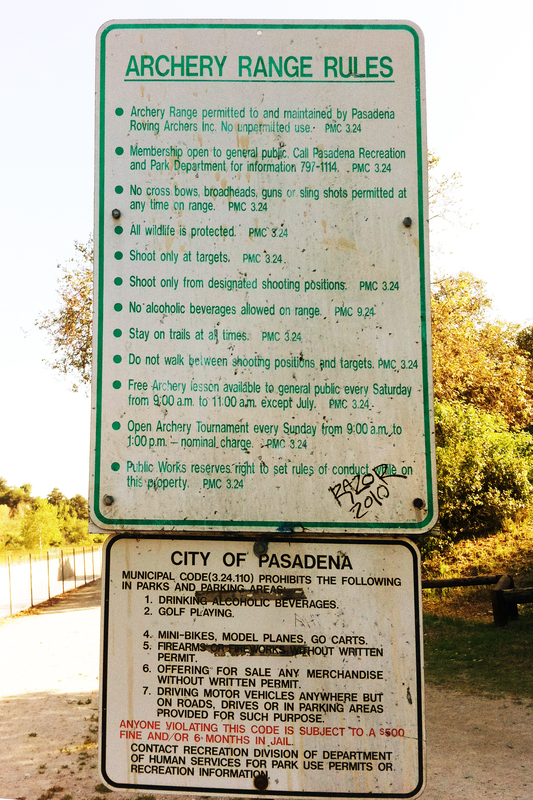 Such usage is consistent with Pasadena Municipal Code (3.32.110), which specifies that archery and hiking are examples of permitted activities, and that all permitted activities must be restricted to their defined activity areas. The size of the archery range is not 18 acres – and there is no plan to increase the current size of the range. According to Pasadena Public Works (page 4), the Southern range is approximately 7.5 acres. This is the only permanent designated-use area for archery in Pasadena. An adjacent Northern range occupying approximately 4 acres is a general-use area currently used for archery less than 8 hours per month with temporary targets; at all other times the Northern range area is available for hiking and other passive recreation uses. The agreement under consideration by the Council does not “permanently prohibit walking, jogging, dog-walking, birding and other forms of enjoyment of nature on the West side of the Lower Arroyo.” All of these activities are currently allowed on the West side of the Lower Arroyo on existing trails that skirt the perimeter of the archery range. The proposed agreement would do nothing to restrict the use of any of these existing trails. 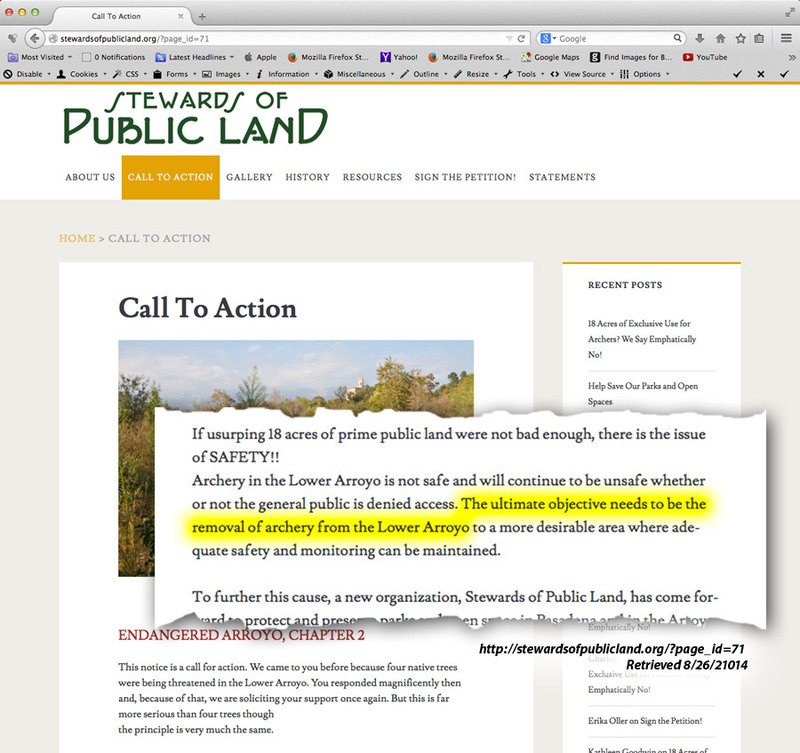 The “lovely trail” pictured on the Stewards of Public Land web site is actually a target maintenance path that crosses shooting lanes inside the boundaries of the archery range. It’s already illegal for anyone (archers and non-archers alike) to walk between archers and targets. Currently some pedestrians use this path as a shortcut through the range instead of staying on the City-maintained trail outside the archery range. The proposal before the council aims to delineate the boundaries of the range more clearly in order to prevent inadvertent pedestrian intrusions into the range that compromise safety. This map shows the size of the archery range relative to the rest of the Lower Arroyo Park, and the park’s extensive network of legal hiking trails (in green), all of which lie outside the range and would continue to be available for public use. 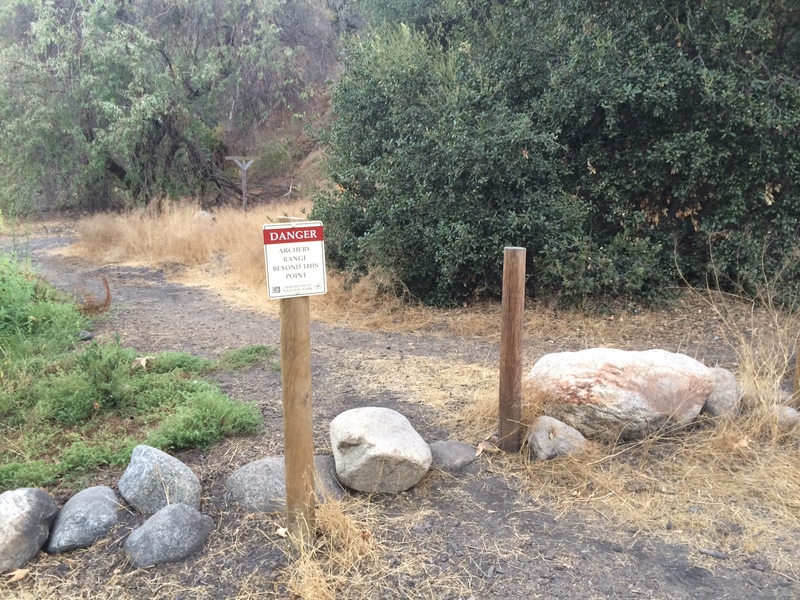 In the interest of safety, a 2011 Pasadena Police Department report calls for the use of barriers around the range to discourage entry by hikers and other passive recreational users. Under the proposed agreement, natural barriers would be used to prevent pedestrians from walking on a target maintenance path that crosses shooting lanes. This is also consistent with the LAMP, which calls for hiking trails and other recreational activities to be separated from the range by means of natural barriers such as trees and rocks. The Police Department report also specifies that “every person to use the archery range must first attend a safety course.” The proposed agreement would require all archers using the range to prominently display City-issued credentials, reflecting completion of a safety training class or competency exam. Measures included in the current proposal will help the range to continue its perfect safety record. Help ensure that Pasadena’s historic Lower Arroyo Archery Range continues to be the vital place it has been for nearly 80 years. Join in the call to the Pasadena City Council to protect and preserve the Lower Arroyo Archery Range and the people who thrive there. 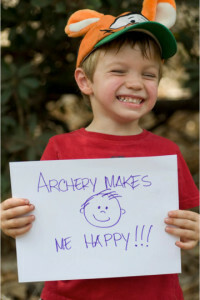 Sign the Pasadena Roving Archers petition. * If you would like for your email to the city council be included as part of the official record, please copy City Clerk Mark Jomsky, mjomsky@cityofpasadena.net and ask that it be included in the agenda packet for the meeting. If you would like to communicate your comments to the Pasadena Roving Archers, please also copy the PRA at city_letters@rovingarchers.com. I run almost everyday in the Arroyo and have done so for many years. I am not opposed to the Archery Range but would support increased safety measures in this area. I try to steer clear of any activity that involves archery while on my daily runs. Saturday morning in particular can get pretty busy down there, as long as people abide by the laws that are posted It will benefit us all. There perhaps needs to be a greater presence of Sheriff Pose or Mounted Police as there are plenty of other violations. Dogs of the leash and folks riding bikes, I even encounter some people using sling shots in the area. Safety first and a little consideration for other people works. As an archery instructor I encourage you to please use the nice trail that boarders and runs along the length of the archery range. I often encounter joggers, dog walkers, and horses on that trail and I always make sure my entire class moves to the side/off the trail to let these other users of the arroyo pass. Please say “good morning!” And you will be met with a smile! All we archers ask is that other users of the arroyo treat us with the same respect given to other athletic activities that exist in the Pasadena park system. We ask for nothing more despite what our opposition says about us. We have been in the arroyo for 80 years now and only want to continue as we have for that time. This location introduced me to archery in great detail and has really changed my viewpoint of self reliance and the outdoors. It should be left alone in order to continue to change the lives of the future generations.